Why do most cats love catnip so much? The answer lies in the essential oil of the plant. It contains a chemical that cats love to roll in, scratch whatever surface it is on or chew objects with catnip on them. This effect lasts for only a few minutes, maximum half an hour, after which the cat is exhausted from this intense smell and needs a break of a couple of hours before it can get high again. You can use it when you want your feline friend to rediscover an old toy or put the scratching post to good use. Another plant, which contains the same amazing essential oil, is tartarian honeysuckle. You can often see small pieces of honeysuckle wood in cat toys to encourage them to play. In America, this plant is considered a harmful weed, so if you ever come across it, feel free to harvest it. Your cat and local farmers will thank you. Some of our purrfect overlords do not react to catnip. Why is that? Research has shown that about 1 in 3 cats does not react to catnip. 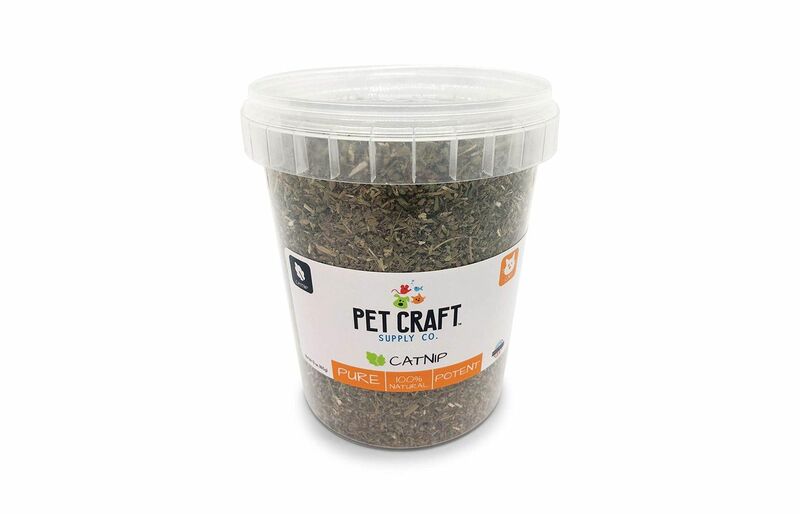 Most cats have a genetic predisposition for their love of all things catnip, but if your cat is part of this 33% where catnip just does not cut it, fear not, there is always valerian. Now, I know what you are thinking: “wait a minute, is valerian that poisonous plant?” The truth is that valerian is commonly used to improve sleep, reduce stress and anxiety. For us humans, it functions as a sedative. However, it has proven to be a cat attractant, similar to catnip. 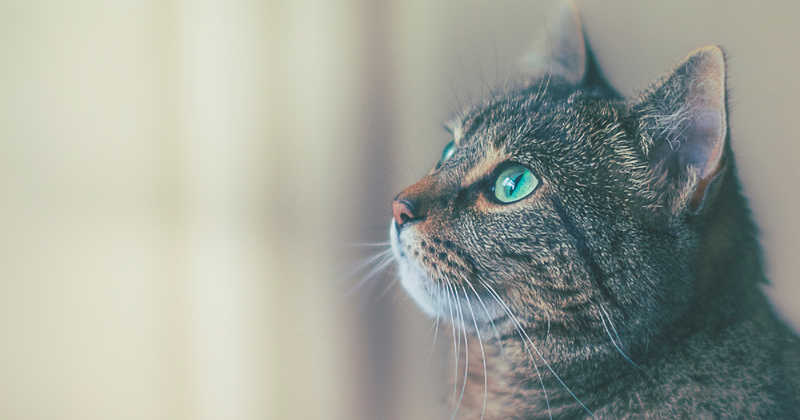 Valerian is not available freshly chopped like catnip, but you can find valerian sprays, treats or even capsules to help your cat get through stressful moments. Fun Fact: Roaches hate catnip! Not only will your cat love you for using catnip, but you will never face a roach invasion as long as you have catnip in the house. Want to buy some catnip for your cats but don’t know where to start? Here we’ve picked out 10 top rated catnip products for your cats. First off, we have this high-quality fresh catnip. It comes from the most potent parts of the plant: the leaves and flowers. It is organic and all natural, so you can use it without worrying about any unwanted effects or hidden ingredients. The plants are fresh, chopped and ready to use. Be aware that because this catnip is very potent, you should start with much less than other commercially available catnip products. You can use it by rubbing it in your hands first to release the oils, and then sprinkle in food, rub on a scratching post or stuff inside a toy… whatever your cat likes most. 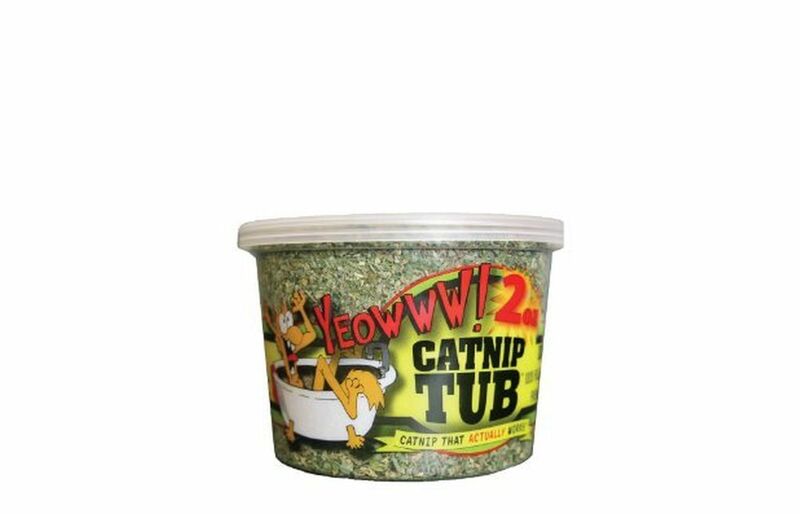 If your kitty does not react to this high quality, concentrated catnip, then you should try one of the alternatives mentioned above. This is the real stuff, folks. Do you want the strongest possible, 100% undiluted catnip you can use in a diffuser or aroma lamp or lightly dab on some cat toys and cat tree? Then look no further, BioFinest got this covered. A word of warning though, since this is 100% concentrate of your cat’s dreams and playtime, use it very carefully and sparingly, so this dream does not turn into a nightmare. If you have a diffuser toy for your kitty, or just a regular aroma lamp, you can use this oil to calm your cat in stressful situations. The smell will be mild and calming and will not have that big kick your cat gets from fresh catnip. 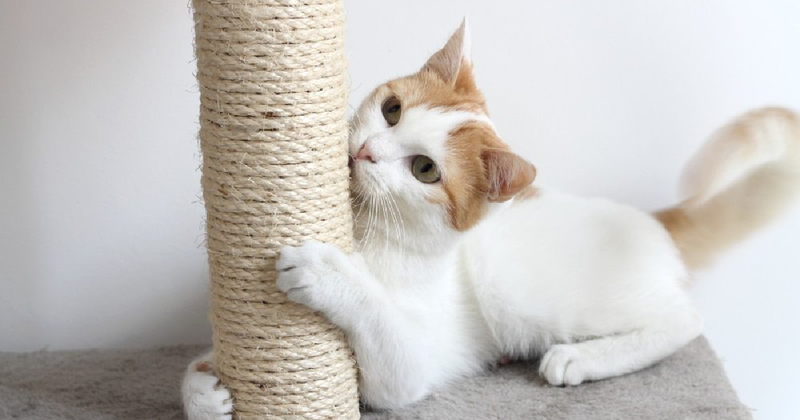 If you dab a tiny drop on the scratching post however, the scent will be very concentrated in the area where you rubbed it. This will be as good as (or better) rubbing fresh catnip would be. 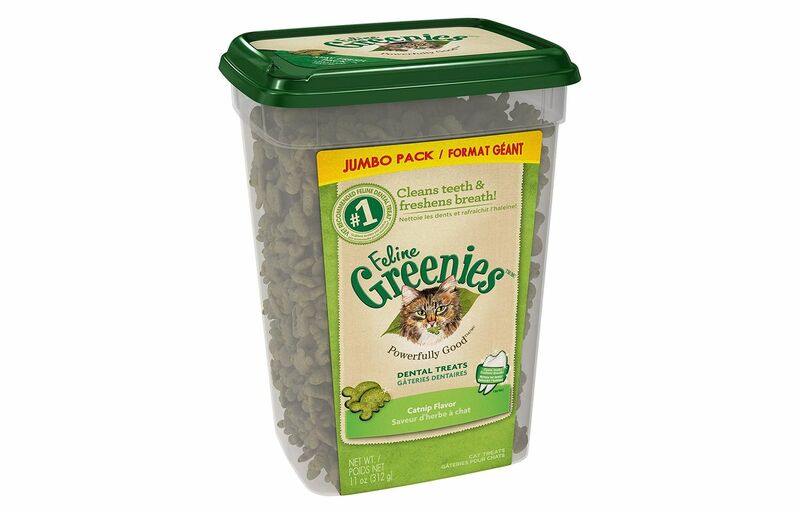 Greenies make these wonderful catnip flavored dental treats. They have the delicious mix of catnip flavor and taurine, but not only that. They are made specifically to help your cat fight tartar and plaque buildup and have healthy teeth even into old age. 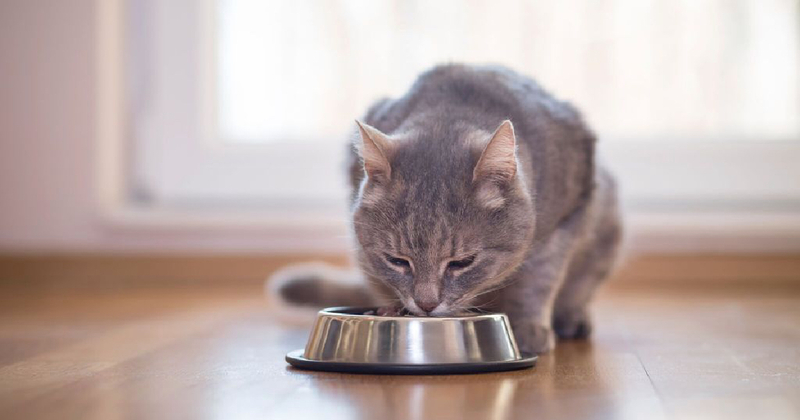 They can be used as a rare treat, but your cat can enjoy them daily, because they are packed with vitamins and minerals. Whoever said you could not train cats to do tricks obviously never tried the right treats. 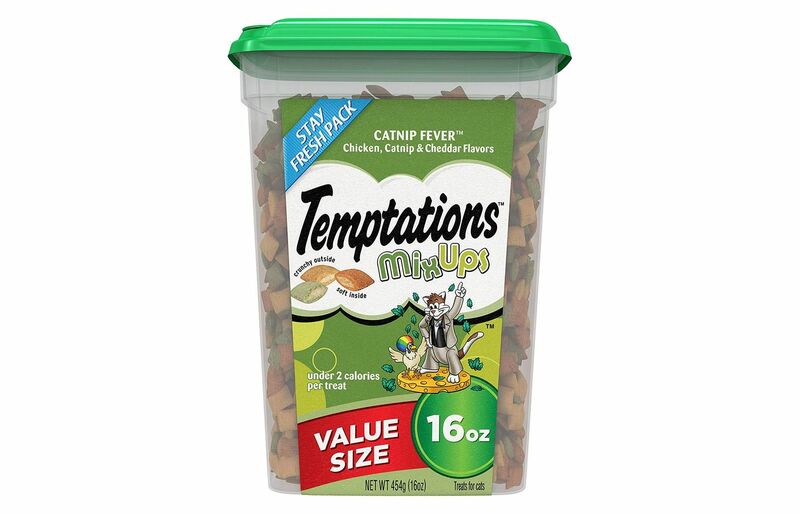 With these catnip treats, your cat will not leave you alone and do anything you want, just to get another one. In addition to frequent company, what you will get out of this is no more bad breath. 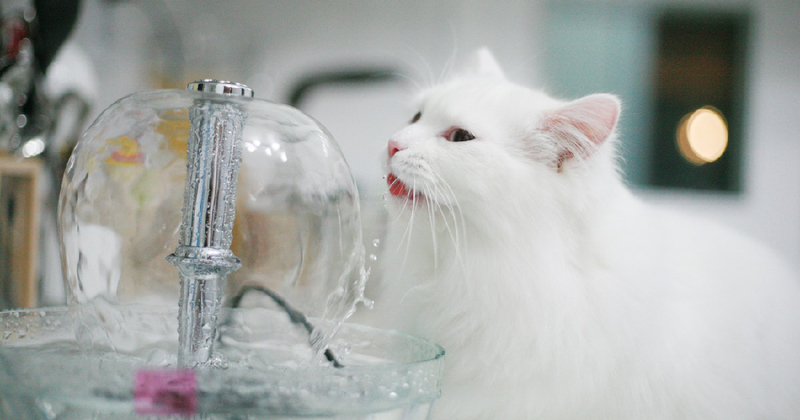 These treats may smell delicious, but they will also make your cat’s breath smell great and love you. 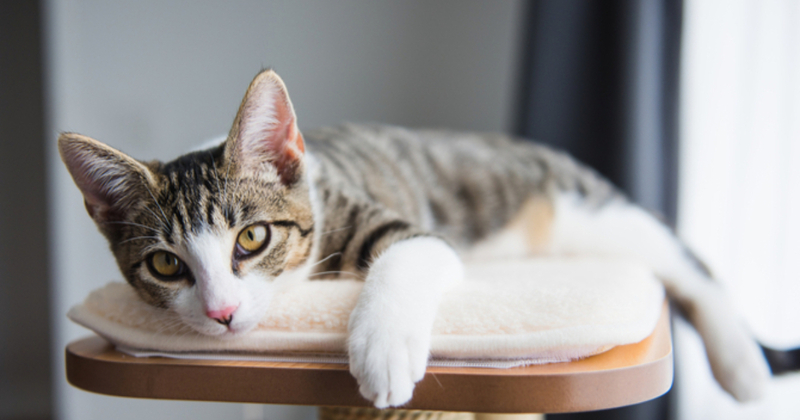 If it is the active and playful use of catnip you are after, you can hide these treats in toys to provide an extra fun challenge for your furry friend. Requires careful aim when spraying! Another high quality catnip spray is from the brand Cat-Tastrophe. 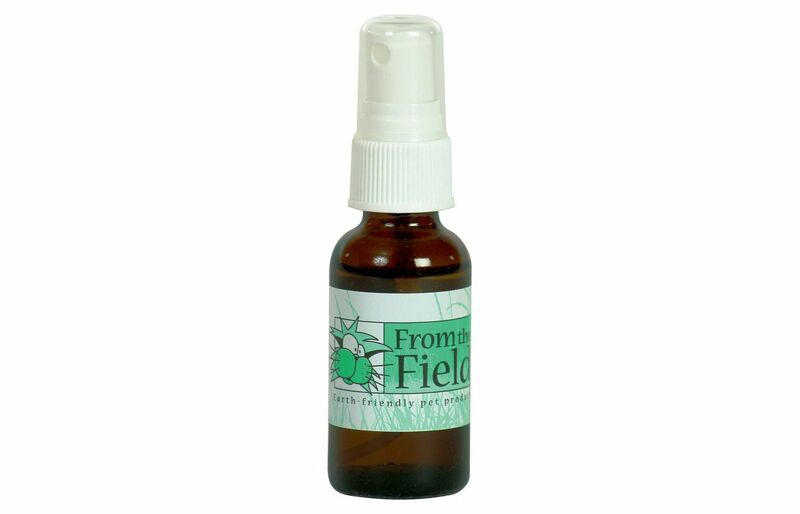 This spray is potent, organic and contains no chemicals that could harm your furry friends. 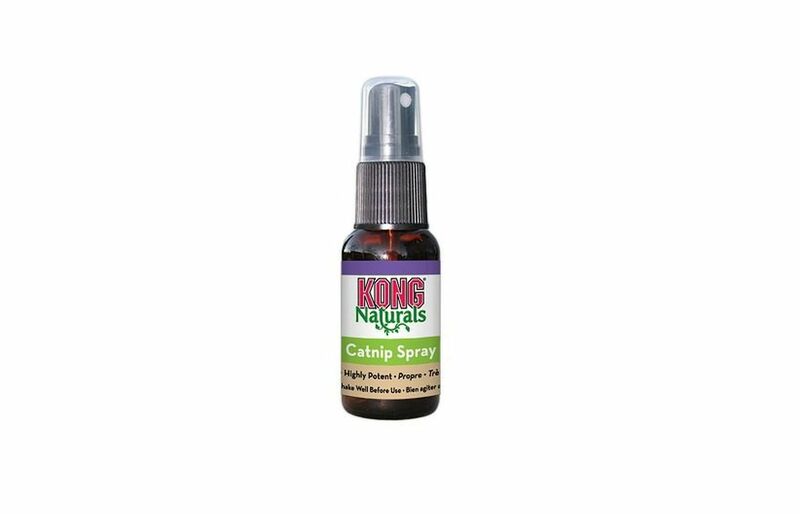 The difficulty with sprays is that most are very weak and diluted and do not work as well as fresh catnip leaves, but this spray is naturally strong and always works on catnip-loving kitties. If your cat has very sensitive skin or allergies to any plants, this catnip spray is a risk-free alternative to using catnip leaves and flowers. 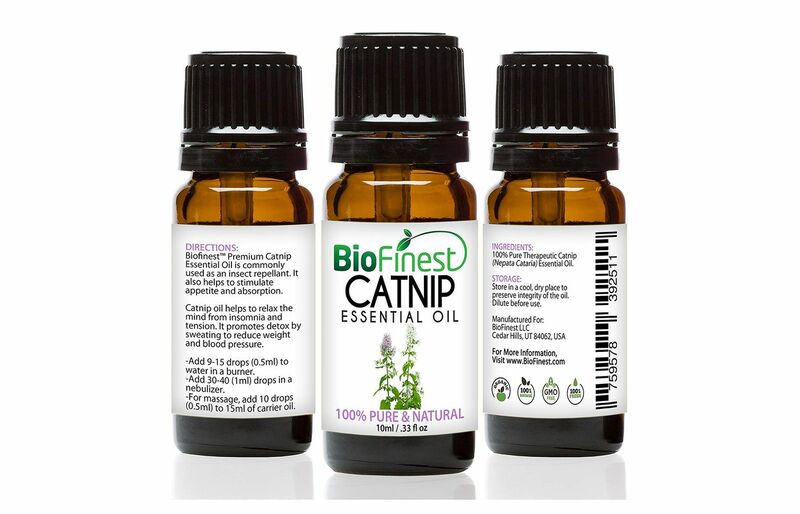 It is concentrated catnip essential oil, so your cat will chase invisible mice and roll around, but without the risk of coming into contact with pollen. 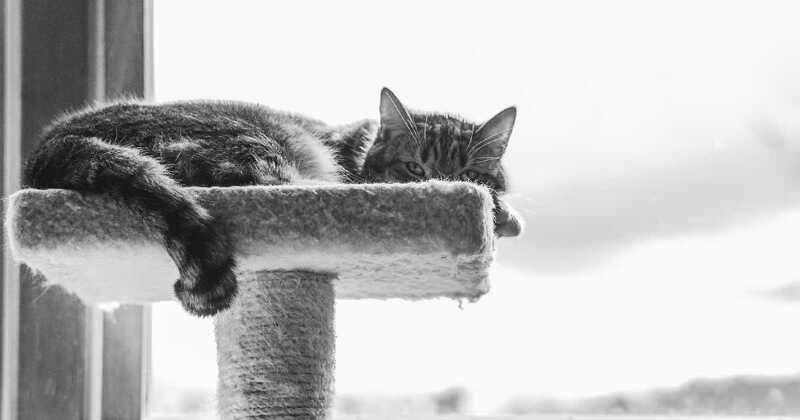 If you are still concerned that your cat could have a bad reaction, spray the catnip on an object you can easily remove and make sure to keep a window open so the smell dissipates faster. 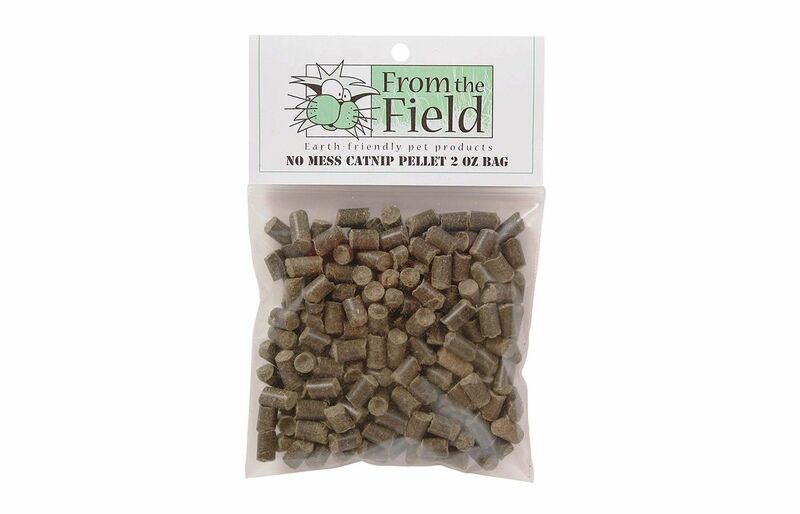 Since we have already introduced From The Field, we would like to show you the catnip spray they make. It is made using the same careful selection of mature, blooming plants for the maximum amount of essential oil in the harvest. Because of this, you can be sure that what you are buying is not just any fragrant rip-off, but the best catnip from a specialized company. Their catnip is ethically sourced, which contributes to the higher price tag. However, you have to ask yourself if you are willing to spend a few extra dollars for a high quality, potent product that was harvested with utmost care for the planet and all the life on it. As with the previous sprays on this list, we would like to warn you to watch where you spray, because your cat will most likely scratch that area for at least an hour, possibly days. From The Field is an American company dedicated to protecting our planet from deforestation and pollution. They also sell valerian for kitties that don’t react to catnip! 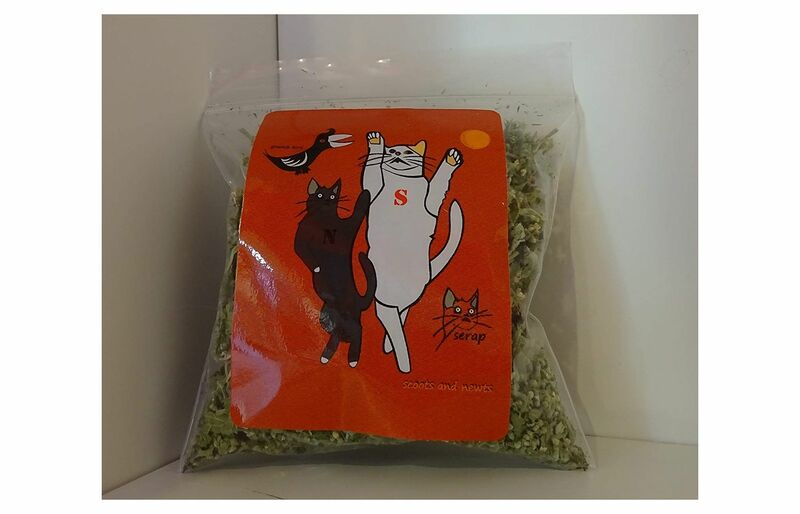 These catnip pellets are made using catnip from Washington state, all natural and potent. Only mature, blooming plants are used to make these pellets to ensure the maximum amount of essential oil is present. You are guaranteed to get a fresh product with a lovely smell because the plants are processed right after being harvested. So what are catnip pellets used for exactly? Two words: toy stuffing. Your cat will adore any hacky sack or mouse you stuff with these pellets and play with it for months! The pellets are better than chopped catnip because you will not get dust and dried leaf bits falling all over your carpet as your finicky feline murders the toy, on a daily basis. The pellets are leaves and flowers compressed very tightly, so it would take lots of soaking and chewing to make them come apart and get messy. In fact, some cats may even prefer to chew on the pellets endlessly when given the chance. Definitely not! If you use catnip as a treat and do not spray or throw it around every day, your feline overlord has no chance of getting hurt. The only possibility is that if you overuse it, your cat will become desensitized to it and it will no longer have those awesome effects. As a chemical present in plants naturally, catnip is not toxic or poisonous. A completely different story, however, are the other ingredients in the catnip you are buying. Always make sure to buy organic and pesticide-free catnip! If you have catnip in your garden or found some in the wild, double check that your neighbors do not spray pesticides in their garden, or there is not a field nearby where pesticides are used. Another problematic factor could be the texture and leaves of the catnip plant. If your cat is very sensitive or allergic, I highly recommend using catnip spray, pellets or treats as opposed to the raw plant itself. Why does my cat only react to one brand of catnip? There could be several reasons for this, but the most common one is simply catnip strength. 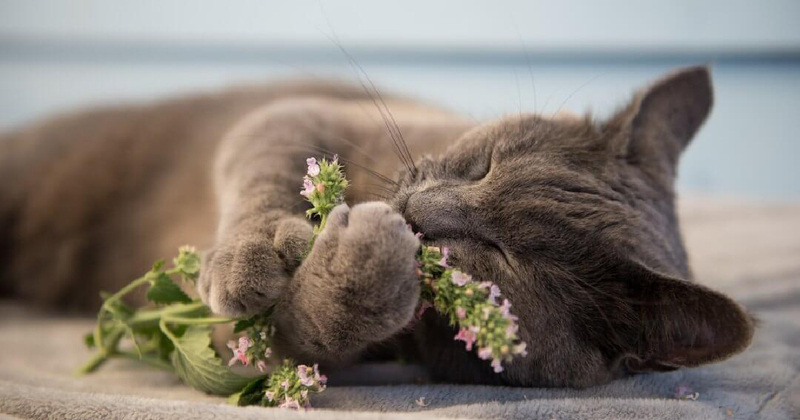 With fresh, cut catnip leaves and flowers, you have maximum potency and smell for your cat to enjoy. If you forget the catnip in a drawer or do not use it up before it dries out. Despite what many companies claim, your fresh catnip will not stay fresh forever. Once it has dried, all those wonderfully smelling oils are gone and your cat will no longer be interested in it, so always keep it in an airtight container. Another factor is the composition of the spray or pellets you are using. If a catnip product price seems too good to be true, it probably is. Low-end catnip products contain much less essential oil in their mix to reduce production costs. The catnip smell will be very faint and your cat will be lulled to sleep unlike with high concentrations of catnip.